There are few platitudes more ubiquitous and less helpful than those five little words. While all of us who have uttered them to a friend or family member in distress more than likely believed we meant it, this simply isn't the case. We cannot know exactly how another person feels, even if we've been in a similar situation ourselves. Everyone processes things differently and according to their own worldview, personality, and experiences, and generally want someone to listen to how they feel, rather than pretend they already know. It's this puzzle which the Nason Group is looking to solve for the healthcare industry, and is attempting to do so with a dedicated arm of research into the concept of empathy. Everyone processes things slightly differently, and this can make research (which looks to draw common rules) difficult. 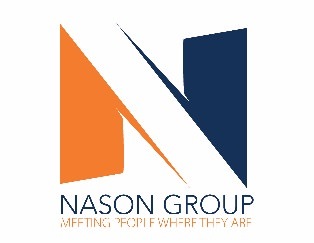 However, the Nason Group is employing some innovative techniques taken from the world of marketing to try and get as close as they can. Personas are often used in marketing to get an idea of how to best target a specific audience. However, they can also be used in a healthcare setting to make it easier to understand the point of view of other people, look for common threads which connect people with the same illness - such as recurring questions and feelings - and try to come up with new ways to engage with those issues. Journey mapping is a technique which attempts to get inside the mind of a subject and track their thoughts, feelings, and experiences all the way through a certain process. In marketing, this means the journey is mapped from the moment a customer first realizes he/she needs a product or service, right through to the point where they make a purchase. However, in a healthcare setting, the journey will begin the first time a patient is injured, becomes aware of their symptoms, or discovers an abnormality. Next comes their first visit to the doctor, followed by being sent for tests, receiving a diagnosis, the beginning of treatment, the treatment process, and (hopefully) recovery. At each stage of the journey, the patient will have different thoughts and feelings, be asking different questions, and experience different physical sensations. Mapping out the patient journey gives practitioners more insight to address these thoughts and feelings as they arise. Patients are not always forthcoming with these things as they may not want to appear ignorant or weak, so it can help if practitioners are able to anticipate and approach them themselves. "That's really the point of empathy, right? Connecting with other people's hearts," writes the Nason Group in a blog post. "Understanding the feelings that drive the other person's thoughts and behaviors. Immersing yourself in the other person's world so much that you can actually feel what the other person is feeling." Two other tools utilized by the Nason Group to deepen people’s understanding of empathy are the Community Safari and Empathy Workout. Community safaris involve visiting the patient’s own environment and walking in their footsteps. A person’s reaction to their healthcare experience will, in part, be influenced by where they come from, and by actually visiting their home environment, a practitioner can better understand their perspective. For example, if a person comes from a thriving community with lots of engagement and a strong support network, their ability to deal with their illness or injury may be significantly different to someone who is isolated. Being able to identify these differences will better enable practitioners to address their patients’ thoughts, feelings, and questions. With a simple notebook, the practitioner can capture his/her impressions of the patient’s environment and the kinds of interactions which occur there. Those insights can then be taken back and used to start conversations among staff and drive continued learning. The Empathy Workout is based on the idea that empathy is like a muscle that needs to be developed if it’s going to be strong. Launched in summer 2018, the Empathy Workout challenges people to complete a series of activities that stretch their ability to empathize. In the two-week program, the daily activities—everything from buying a cup of coffee for a stranger to shadowing someone else’s job—push people to step outside of their comfort zones and practice walking in other people’s shoes. The goal for the program is for people to gain skills and confidence in becoming more empathetic in their daily interactions with people while increasing their awareness for utilizing empathy in the world. Empathy is a tricky skill to master for those to whom it does not come naturally. However, by exploring these techniques and applying them to the healthcare industry, the Nason Group is helping to improve the patient and practitioner experience. You can hear the Nason Group's Chief Executive Officer and Transformational Disruptor, Shawn Nason, speak at NGPX 2018 this November at the Rancho Bernardo Inn, San Diego, CA. Download the agenda for more information and insights.